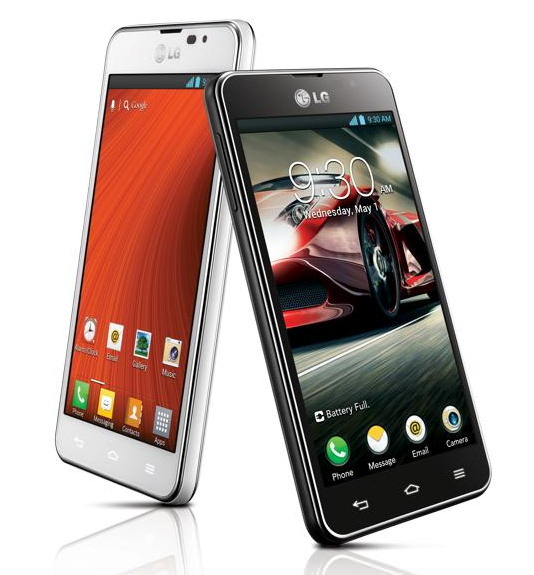 LG announced, its mid range LTE smartphone Optimus F5 start rolling out globally. The device will available from April 29 starting in France. After the company decided to roll out the Optimus F5 in South and Central America, Asia and the Common-wealth of Independent States (CIS) over the next several weeks. The phone features 4.3-inch 256ppi IPS display and having 2150 mAh battery. It is powered by 1.2 GHz Qualcomm Dual-Core processor and runs on Google's Android 4.1.2 Jelly Bean operating system. It comes with 8GB of internal storage space and expandable up to 32GB using microSD. And also the phone has 5 MP rear camara with auto focus and 1.3 MP front facing camera. QSlide allows users to open multiple apps at the same time in full screen mode with the ability to change the size, position and transparency of the windows. Live Zooming lets users zoom in on videos so they can get a closer, detailed look at any specific area. Video Wiz lets users play movie director by giving them the power to edit vide-os and enhance them with sound and music right on the phone itself. QuickMemo gives users the ability to write directly on a transparent layer over any captured screen image, eliminating the need to split the screen and allowing both applications to be viewed in full-screen mode simultaneously. Users can share QuickMemo notes with friends via SMS, email or social media channels. QTranslator serves as a user’s travel companion, automatically translating words, phrases and entire sentences in more than 40 languages. Price is not available yet, so check later for price updates.